2 bedrooms, 1 reception room in a 19th Century impressive and elegant building on the 1st floor in the very center of the university town of Debrecen. The flat was recently and thoughtfully modernized to provide spacious and first class accomodation. In spite of the fact being in the hyper center of the city, the apartment is very calm. It is situated on the corridor wing, on the typical 19th Century hanging corridor, and you have a view on the interior courtyard. It is also very clear with huge windows and extremly high ceiling. We have a bedroom with double bed with private bathroom. We have a reception room with two twin beds, a sofa (could be used also as a bed), TV set. The kitchen is equiped with all the necessary facilities you need, such as fire place with owen, coffee maker, toaster, fridge etc. 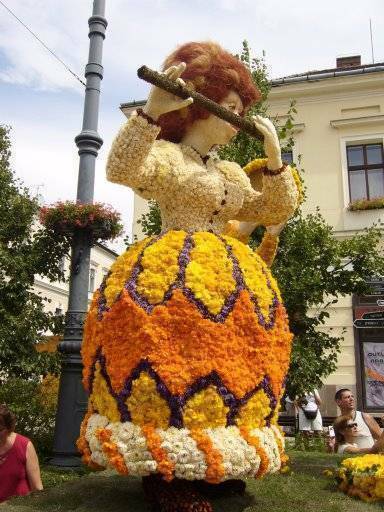 Debrecen is located on the Great Hungarian Plain, 220 km (137 mi) east of Budapest. Situated nearby is the Hortobágy, a national park within Hungary . The city used to be somewhat isolated from Budapest, Hungary's main transport hub. However, the new sections of motorway M3 (M35) have already significantly decreased travel times. Also, there have been improvements to the current highway (main road) and modernisation of some parts of the rail tracks between the capital and Debrecen as part of Hungary's mainly EU-funded National Development Plan for 2004 to 2006. Debrecen Airport (the second largest in Hungary) has recently undergone modernisation in order to take more international flights. 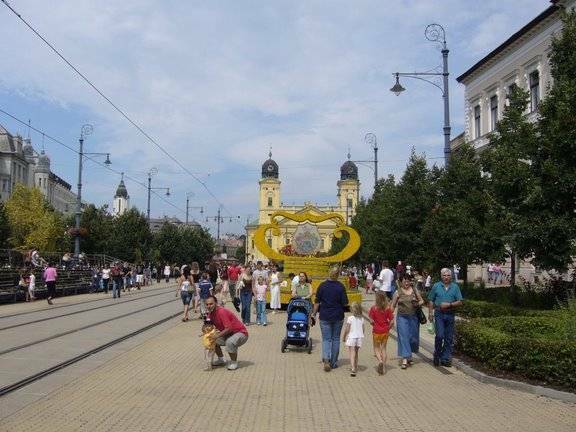 In the longer term, Debrecen's proximity to Ukraine and Romania may enable it to develop as an important trade centre and transport link for the wider international region.